I see my role in the art that I create as if I were a Ranger character in Dungeons and Dragons - exploring stealthily through uncertain terrain, hunting or befriending strange creatures, and bringing back elements of this fantasy world. 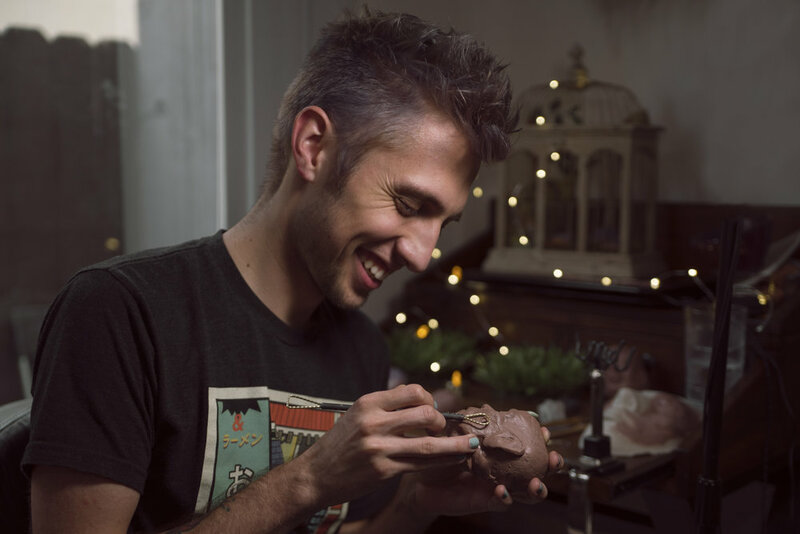 I conceptualize objects and bring them to life using foam latex, wax, silicone, and resin, and use recognizable elements to ground the fantasy subjects in reality. For example, dozing cats inspired my sleeping dragons, and chickens turned into bogtrice. My potion bottles are inspired by nature, hinting at abilities that would imbue magic into the mundane. My work is the small slivers, everyday objects from this alternate reality I see. These relics are a clue to a larger universe, and my aim is to bring us closer to integrating it within our own daily lives.